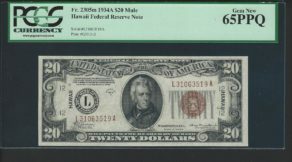 After the bombing of Pearl Harbor in 1941, specially marked United States paper money was substituted in the Hawaiian Islands. 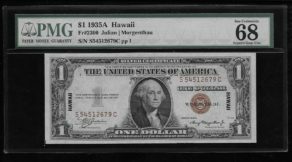 These notes had brown seals and serial number with the word HAWAII overprinted on the back. If Japan had ever successfully invaded the islands, the notes with the Hawaii overprint would be declared worthless.